Roomba® 696 gives you clean floors every day. 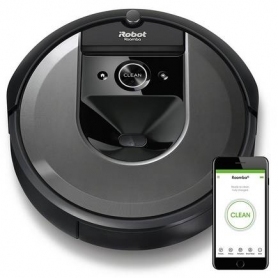 Use the iRobot HOME App to clean or schedule from anywhere, anytime. 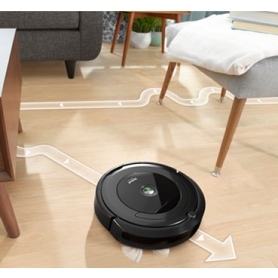 Roomba® 696 recharges itself when the job is done. Its powerful cleaning system captures dirt, dust, all types of hair and larger debris from hard floors and carpets. With patented dirt detect sensors, Roomba® 696 works harder where dirt is hiding. iRobot is #1 in robot vacuum sales, and the only leading brand with two multi-surface brushes, one to loosen dirt, the other to pick it up.